Is a Saudi education organization established to serve the local community by graduating skilled and educated human power with a advanced studied certifications. 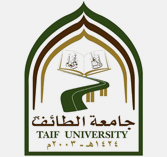 Taif University established in 2004 with 7 branches all located in Taif region with a strong relation with Um Al Qura University and other universities. Taif university contains different processes as any other university some processes move across the whole region to get approvals on a particular request, sometime the request requires an approval committee which needs to gather to decide, meanwhile the requestor used to wait for months to know if his request approved, rejected or requires some addition paper. On the other hand, the university process thousands of requests manually on daily basis which causes a big problem in managing the requests and processing them and makes the process owner loses the control on the process. In addition to all of that, one of the core problems was Taif University facing was the undefined processes with no clear vision of optimizing them, the process loses its orchestration by unclear responsibility and accountability by the process stakeholders, no definition for business rules and fact table and many IT systems not integrated together so the process loses its value between them. "جامعة بلا ورق" (University without papers) this was the title of SSSIT project in Taif University which allow the university orchestrate their processes on top of BPM suite that integrates these processes with all of the university systems. SSSIT collected all processes inside the university and selects the processes that need to be automated in three business fields Maintenance, University Deanship and Scholarship. The processes gathered through different business gathering activities (meeting, questionnaire, etc..) , then documented using the best practice of Business Process Modeling Notation and optimized using the analysis tools and techniques to meet the university vision in Automating these processes. Define 50 AS-IS processes, This is done through surveying different departments and colleges and filtering them out to come up with a list of processes Analyze 50 process to select 25 process in order to optimize them, the analysis where done through different analysis techniques. Define the bottleneck inside the process by simuating them and apply different kind of testing scenarios and optimization techniques to model 25 TO-BE processes. 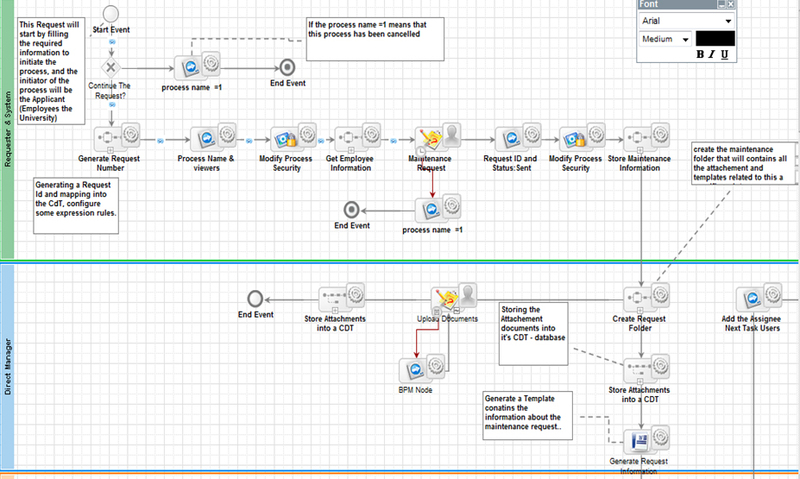 BPM suite was the proper environment to automate the Taif processes and integrate them to other systems inside the univeristy. Full handover and knowledge transfer for the Taif University team, and create a qualified team to modify the automated processes and create new ones. To help Taif University in managing different committees business in order to respond to the big amount of different requests types, SSSIT team created a state of art process that collects the requests from different services and gather them all inside a single process and launches a Majlis (Committee) process to answer the requests, which saved a big time in processes these requests. 90% reduction of services processing life time. 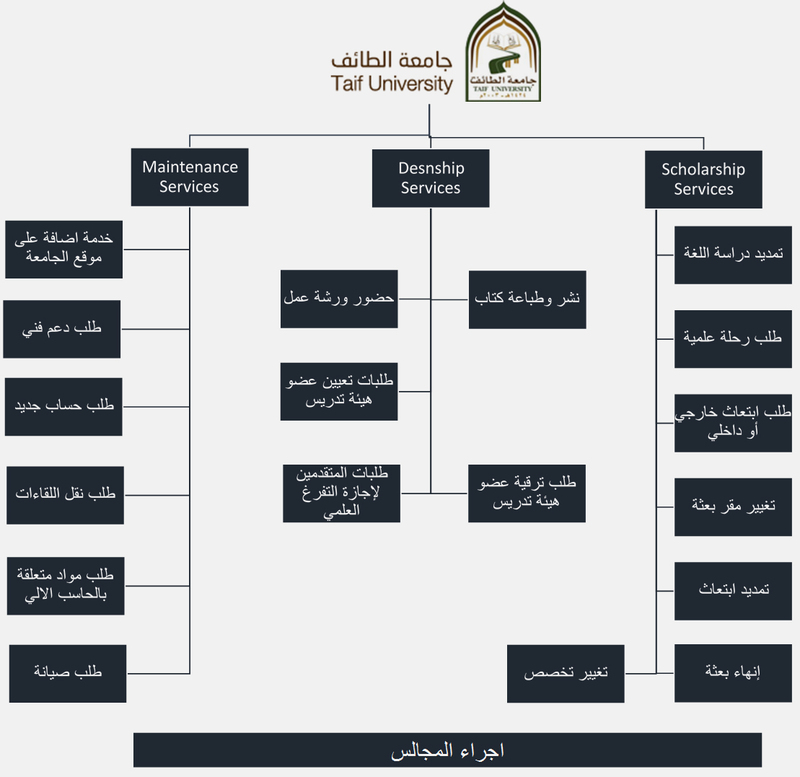 Integrates all Taif University systems together in a single process.